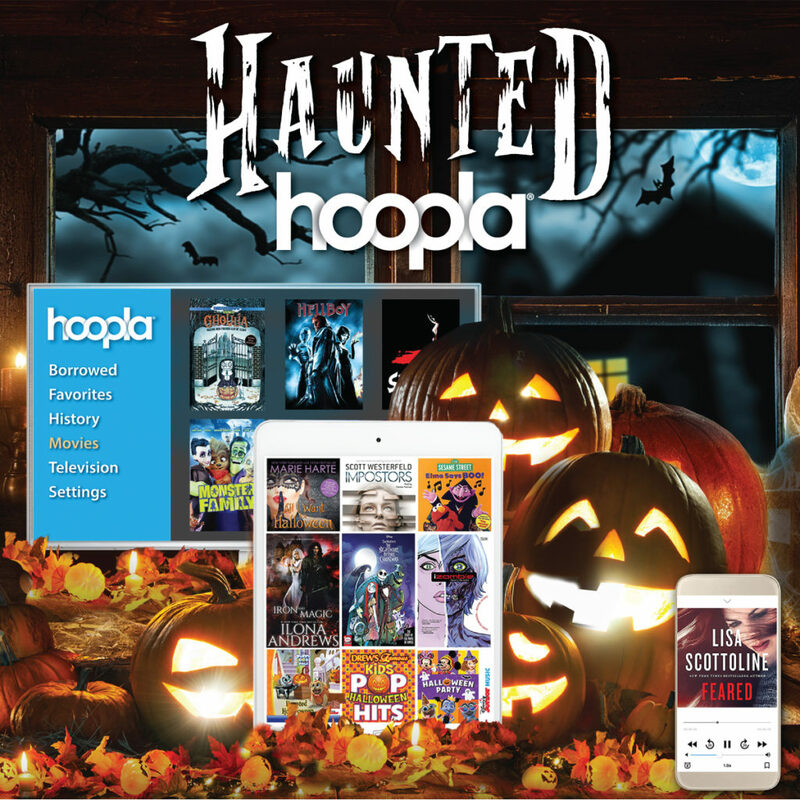 From charming Halloween titles for kids to cult, indie, and new horror for adults, hoopla has something for everyone to enjoy this Halloween season, with no holds and no waiting! Whether you’re into audiobooks that go bump in the night, eerie ebooks, creepy comics, music for every zombie bash, or spine-chilling movies and TV, it’s all happening this Halloween season on hoopla. All free for you with your Carver Public Library card! next post: Big Library Read Starts Today!